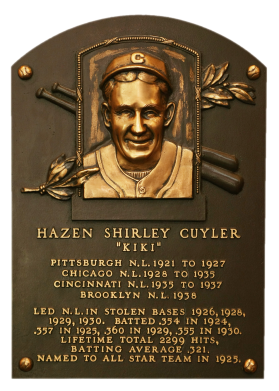 KiKi Cuyler hit a robust .354 as a Pirate rookie in 1924 and was heralded as "the next Ty Cobb." Cuyler hit over .300 10 times and topped the .350 mark four times. He accumulated 2,299 hits for a lifetime mark of .321. Cuyler finished his career with 1,305 runs, 1,065 RBI, and 328 stolen bases. Comments: In July, 2000 I purchased a 1931 W517 raw card of KiKi on eBay. 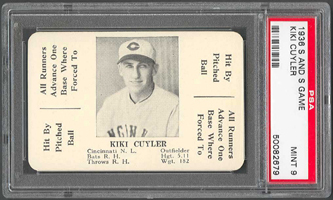 I switched to the 1936 Goudey issue when I purchased a PSA 5 example via another eBay win. In July, 2004 I upgraded to a PSA 7 example after winning an eBay auction from seller John Billingsley. In an effort to maximize different type cards represented in the collection, I decided to swap out the 1936 Goudey card for this 1936 S&S PSA 9. 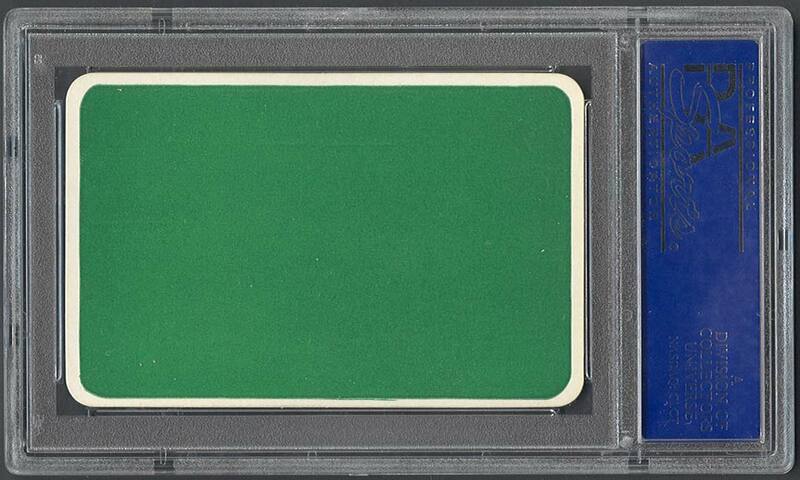 I won it on eBay from seller Bruce Cohen (psa-graded-cards). Description: Small black-and-white player photos are featured on the fronts of this 52-card game set. 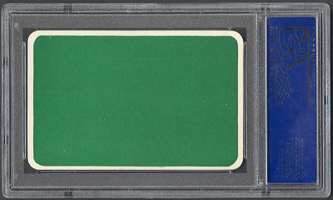 Measuring about 2-1/4" X 3-1/2", with rounded corners, the cards feature plain green backs. Besides the player photo on front, there are a few biographical details and stats, and a pair of game scenarios. The cards are unnumbered and are checklisted here alphabetically.